Here come the 2015 Perseids! The Perseids are one of the 2 annual showers worth getting up early for. This year the peak will occur on the morning of August 13. The Moon will not be a problem this year allowing for a wonderful meteor watching opportunity. The Perseids produced strong activity from an unexpected primary maximum throughout the 1990s, associated with the perihelion passage of their parent comet, 109P/Swift-Tuttle, in 1992. The comet’s orbital period is about 130 years. Further enhanced activity ahead of the usual maximum was last seen in 2004. Recent IMO observations (see HMO p. 145) found the timing of the mean or ‘traditional’ broad maximum varied between λ⊙ ∼ 139.◦8 to 140.◦3, equivalent to 2015 August 13, 01h30m to 14h00m UT. 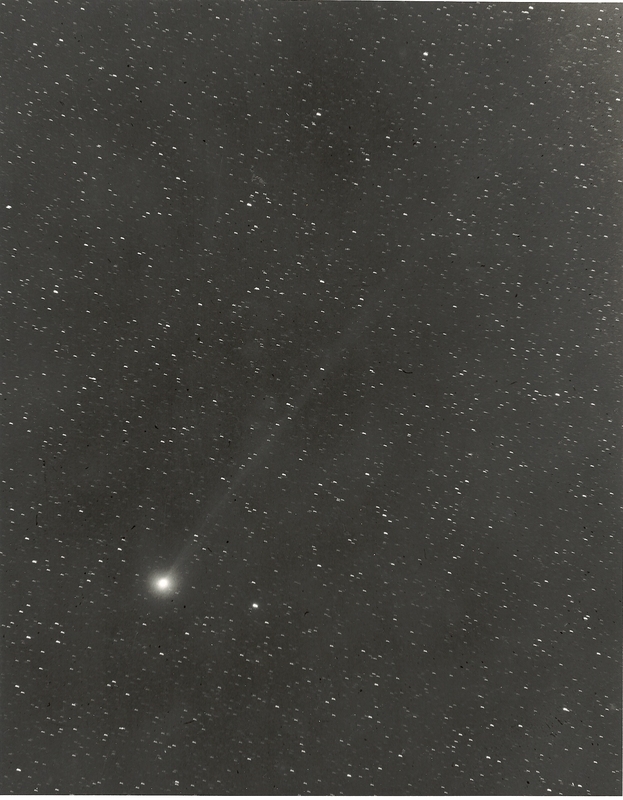 Jeremie Vaubaillon anticipates from theoretical modelling that the dust trail from the comet’s 1862 return should pass closest to the Earth (the separation is about 0.00053 astronomical units, only 80 000 km or so) at 18h39m UT on August 12, although the activity levels are uncertain. Enhanced rates, if they happen at all, may persist for several hours around this potential peak. Plus of course, neither this prediction, nor the nodal crossing time given in the box above, are guarantees of what will occur! New Moon on August 14 means whatever happens, dark skies will prevail for checking on it. Sites at mid-northern latitudes are more favourable for Perseid observing, as from here, the shower’s radiant can be usefully observed from 22h –23h local time onwards, gaining altitude throughout the night. The August 12 peak time especially favours Asian longitudes, while the August 13 near-nodal part of the ‘traditional’ maximum interval would be best-viewed from North American sites, assuming either takes place when expected. All forms of observing can be carried out on the shower, though regrettably, it cannot be properly viewed from most of the southern hemisphere. Additional information can be found on the American Meteor Society’s webpage at Perseids 2015: the Amateur Guide. Over the past few years, the Perseids have peaked with zenithal hourly rates (ZHR) of 68 (in 2014), 109 (in 2013), 122 (in 2012), 58 (in 2011), 91 (in 2010), 173 (in 2009), 116 (in 2008) and 93 (in 2007). These are the rates that would be seen under perfectly dark skies, with no Moon and with the radiant overhead. In reality these conditions are never really met especially if you live anywhere near a city. Still observed rates of 20-40 meteors per hour are possible even under suburban skies. The SALSA3 meteor shower camera has been monitoring the sky every night this summer. Though the weather in Tucson can be hit or miss during the Summer Monsoon season, last night was completely clear allowing SALSA3 to detect 43 meteors with 12 of them being Perseids. These numbers also highlight that there are many other, albeit more minor, showers active as well (such as the Southern Delta Aquariids). The SALSA3 camera system is only sensitive to meteors about 3rd magnitude or brighter (about what you would expect from inside a city like Tucson). Observers under darker skies would have witnessed many more meteors during the course of the night. The Perseids will be getting more active with every night. Right now the shower is producing about 10-20 meteors per hour during the second half of the night. That number will go up to 60-120 per hour by Thursday morning.